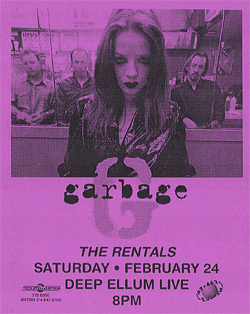 Description: 6x8 two color Garbage 1996 concert handbill. 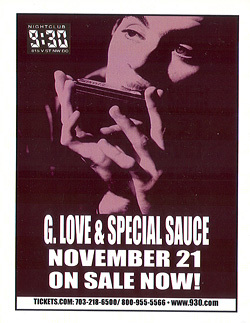 Description: 3x5 two color G. Love & Special Sauce 2002 Best Of CD release flyer. 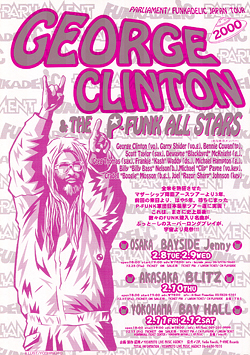 Description: 7x9 three color George Clinton 2000 Japanese concert handbill. 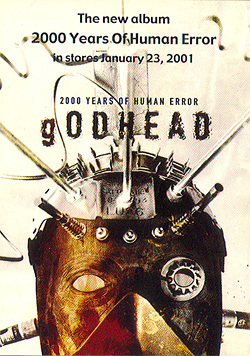 Description: 3x5 full color Godhead 2001 CD release flyer. 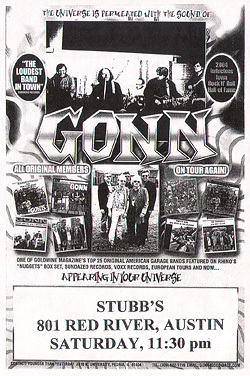 Description: 5x7 BW Gonn 2003 concert handbill. 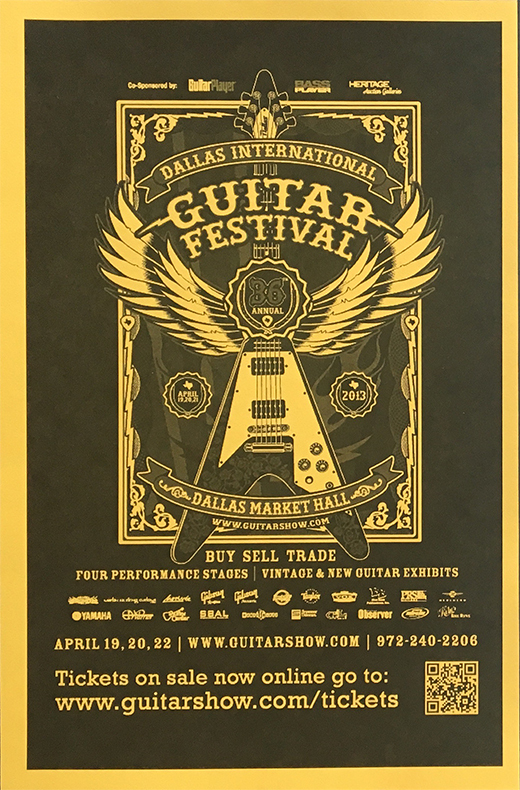 Description: 5x7 Guitar Show 2013 Dallas, TX Handbill.